This morning (Sunday 21st Jan), in solidarity with the #WomensMarch2018 (I'm a bloke), I have decided to donate the sum total auction price this item realizes on ebay to a homeless charity. St Petrocs Society in Cornwall (UK). Women are victims of homelessness too! This item - Dirt cheap! We actually mean the auction start price! A 'come buy me' low bid price. Truth is, we just want rid of this ugly offensive little manikin - we mean the doll. Utterly garish, gross, tatty, nasty, tasteless, poor quality, & many would consider kitsch tat! ...No, seriously, we do mean the doll, despite that some people think it looks a little like some bloke called Trump! Now to be clear this folk art is a based upon a traditional pin doll, not a covert Russian Doll. 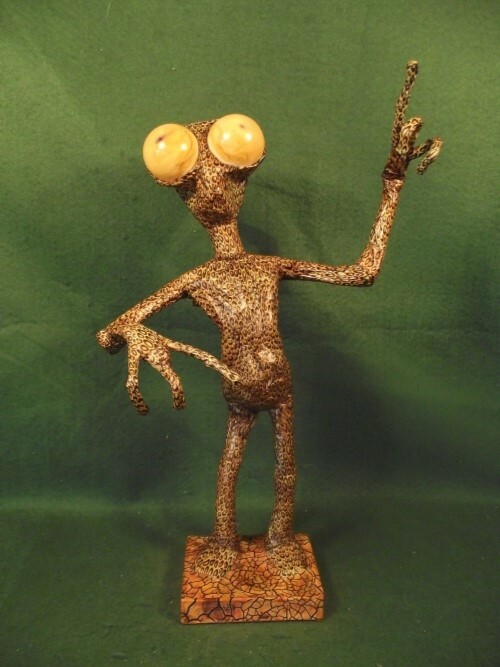 What it is ...'& this is not fake news', it is 'Crap Art', that is to say - a term used to describe an item made from recycled rubbish (To be absolutely clear, the doll, we do mean the doll). NB; This doll is not stuffed with recycled Mc Donalds fast food wrappers - too greasy! 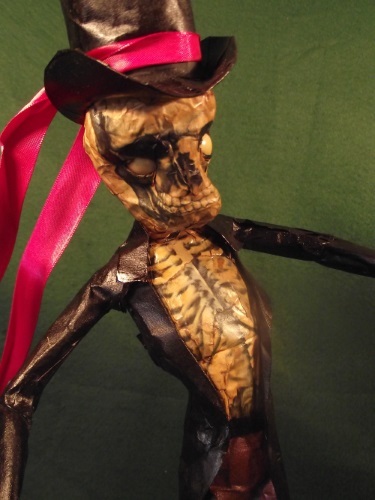 This is a contemporary folk art take on a traditional Witchcraft Poppet Doll. It was never intended or made to last, but to be destroyed by burning, burying, decomposition, or drowned by being weighed down in water, stuck with pins...or torn apart by dogs (NB: Not advisable, as we would not want any dog to choke on it). 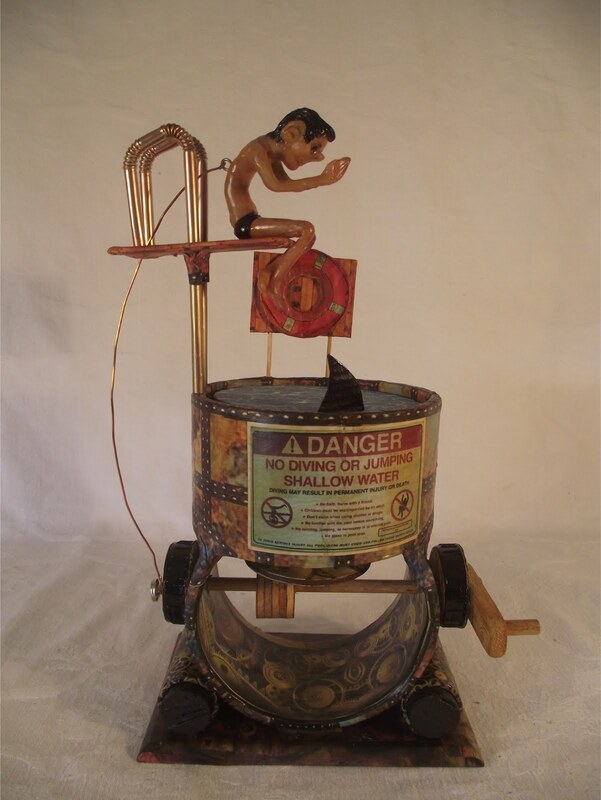 There are said to be various traditional means of using a witchcraft poppet doll. Research would indicate this could be used for what is termed 'Go away' magic. This folk art take on a charm intended to deter, reflect or repel (well its not a bigger red button is it?). We only created this Folk Art poppet doll, for something to burn &/or stick with pins/blackthorn spikes, had a certain particular 'visit' to the UK gone ahead this February. 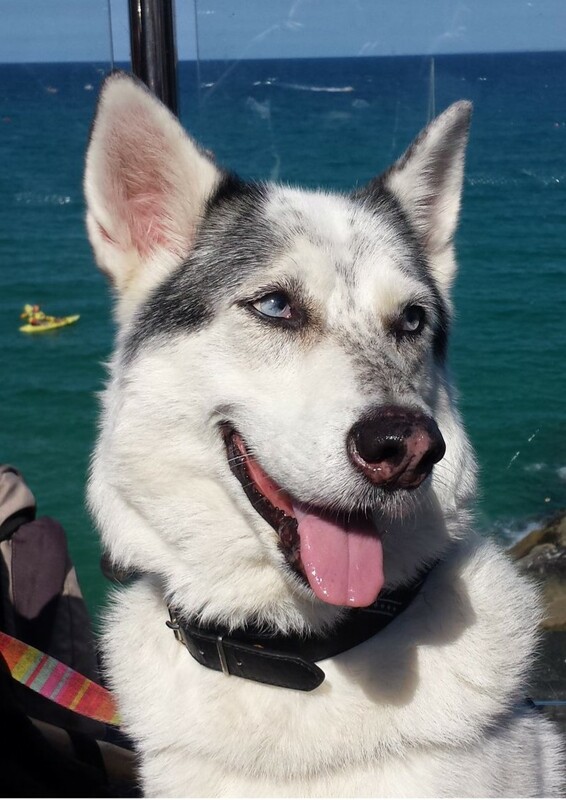 The scheduled February visit to UK has now been reported in the media as cancelled, (Hurrah!! But quite strange, because we quite like the design of the new USA embassy building in London). So we don't need this unpleasant objectionable little puffed up obnoxious effigy representation of male misogyny any longer. (we do mean the doll). Besides, we can always make another if we must, for any further impending state visit to the UK. However, there may be someone who will like, or even love this really rubbish rough bit of tasteless tatty crap....(How many times? We do mean the doll) even if it is to just stick pins in &/or burn it.....or you might even build a wall around it? Can you tell, really going for the 'hard sell' on the nasty crap quality of this item? At 99p start. Its worth bidding on - just for a laugh! 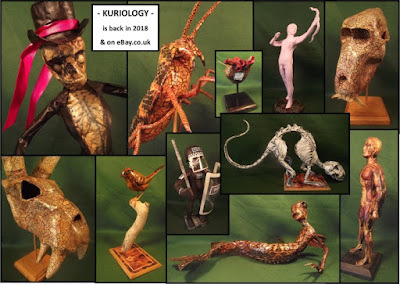 With the environment in mind, Kuriology art is responsibly & individually made in the United Kingdom using primarily & where possible recycled & re-purposed materials. We care about the environment & support the principles of the Paris agreement on climate change. Incorporating traditional paper-mache & decoupage techniques in contemporary individual art creations. Often with a shellac coat finish, a traditional natural lacquer polish application which gives many of our sculptures an authentic antique or vintage aged look & appeal. Each separate sculpture takes upwards of three hours to create. NB: Kuriology sculptures are NOT cast from a mould or mass produced in far east factories. Likewise, NOT made from oil industry based resin or environmentally damaging single use plastic, unless being recycled from an original product usage. 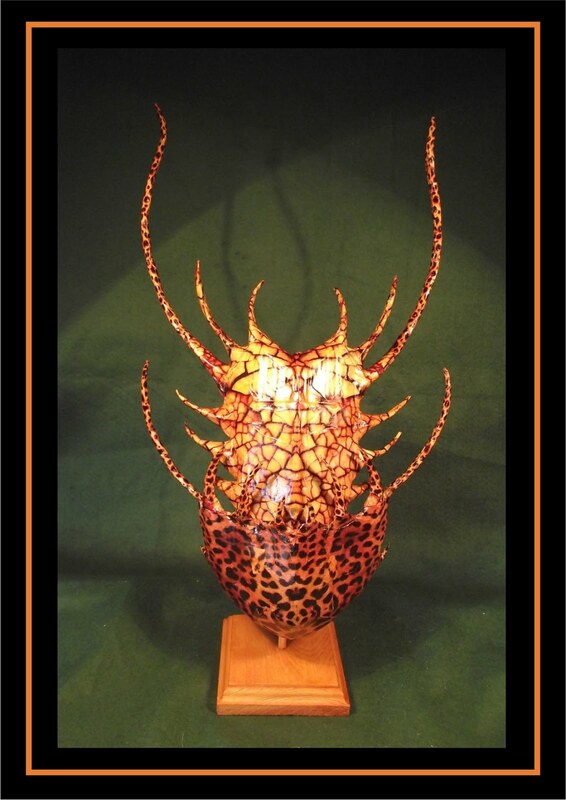 This Kuriology sculpture is simply unique, ‘one of a kind’ (ooak). We may make other similar sculptures, but no two Kuriology sculptures are every quite same. Many ‘Art of Kuriology’ sculptures have previously been both Gallery & Museum exhibited. ...but NOT this piece! Bid on this - just for a laugh? Were we attacked by aliens? As December 2017 progressed, so our Kuriology computer struggled more and more with gliches and gremlins. Fortunately, we had already planned not to list any further Kuriology sculptures for sale in the three week run up to Christmas. The need to deal with Christmas, in particular, needs of an increasingly frail & utterly dependent elderly relative, coupled with a temperamental computer meant some things had to go on hold. 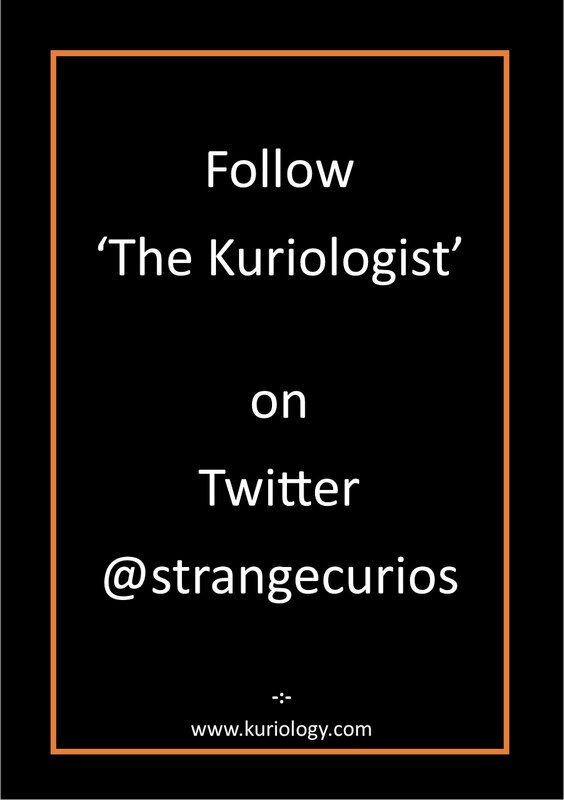 Some thing had to give - Kuriology blog being one of them. We carried out various procedures, pseudo voodoo rituals & mock exorcisms over the computer. Tinkered with it, threatened it & swore offensively at it. More practically, we ran various software repair packages.....& eventually a modicum of computer normality was achieved. Even a convoluted method to sometimes access windows movie maker returned -.... sometimes? NB: We still have listings on Etsy, however sales were very slow in comparison to eBay. At a ratio of just £1 of sales on etsy to every £10+ realized on eBay. To be fair Etsy remains primarily a North American sales outlet. Kuriology hope/intend to venture into some international sales later this year.